The “March King,” born in Washington, D.C. at 7th & G Streets, S.E. near the Navy Yard. Highpoints in his long career were many; by age 15 he was teaching music; in 1876 he was a member of the first violin section of the orchestra led by the French composer Jacques Offenbach. 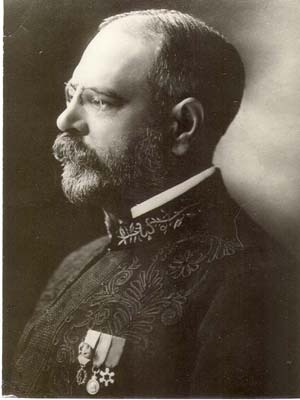 In 1880 he was appointed bandmaster of the Marine Corps Band. He resigned this post in 1892 having served under five presidents. After his resignation, he organized his own band which was enormously successful in the United States, in Europe and on World tours. Sousa wrote more than three hundred musical compositions including ten light operas and more than one hundred marches. 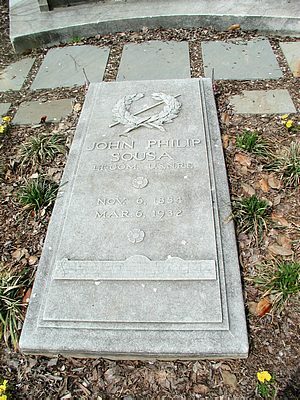 The John Philip Sousa Junior High School, a National Historic Landmark, is associated with the struggle to desegregate schools in the nation's capitol. 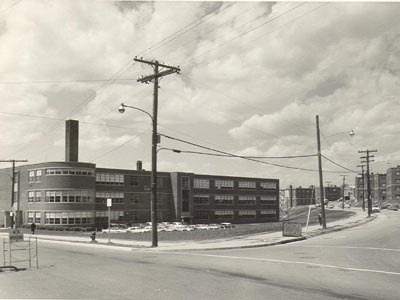 On September 11, 1950, in a carefully planned maneuver, the head of the Consolidated Parents' Group, along with student Spottswood Bolling and 11 other black school children, presented themselves at the brand new all-white Sousa School for admission. The principal refused to admit the children. James Nabrit, Jr., later president of Howard University, brought suit on behalf of Bolling and four other plaintiffs against C. Melvin Sharpe, president of the Board of Education of the District of Columbia. The U.S. District court dismissed the case and Nabrit filed an appeal. The U.S. Supreme Court took the case as part of Brown v. Board of Education. On May 17, 1954 , the U.S. Supreme Court rendered a separate opinion on Bolling v. Sharpe using the 5 th Amendment to the U.S. Constitution, because the 14th Amendment (used in deciding the other cases) was not applicable in the District of Columbia.